Arbitration is an alternative dispute resolution method that frequently occurs prior to bringing another party to litigation. In fact, in many instances, there are arbitration clauses in contracts which specifically denote when, where, and how arbitration must take place and that same must occur in place of or prior to litigation. Though seen as an alternative to litigation, arbitration similarly culminates in a binding decision. This determination is made by a third party, independent from all other parties, who seeks to develop an equitable resolution to the dispute. This third party can be a single arbitrator, or a tribunal of several arbitrators. A tribunal often consists of an odd number of arbitrators, for tie-breaking purposes, and there are several ways that the arbitrators can be appointed. For example, each party can appoint one arbitrator; each party can appoint one arbitrator and those two arbitrators can subsequently appoint a third arbitrator, or; an external party can appoint the arbitrators. Arbitrators can differ from traditional judges in one major way; traditional judges often do not have the technical expertise to delve deeply into certain topics, while arbitrators can absolutely retain such needed expertise. All in all, the arbitrators hold the key to a judgment that will hopefully be in your favor. It is an arbitrator’s duty to hear evidence submitted from both sides, and to make a decision as a result of that evidence. In arbitration, traditional rules of evidence, procedure, and discovery are often disregarded or much less formal. This is one of the reasons that arbitration often takes less time, along with the fact that it is often easier and more flexible to schedule actions with arbitrators instead of with the courts. However, along with this simplicity and flexibility comes finality. Arbitration, unfortunately, does not have a method of appeal. 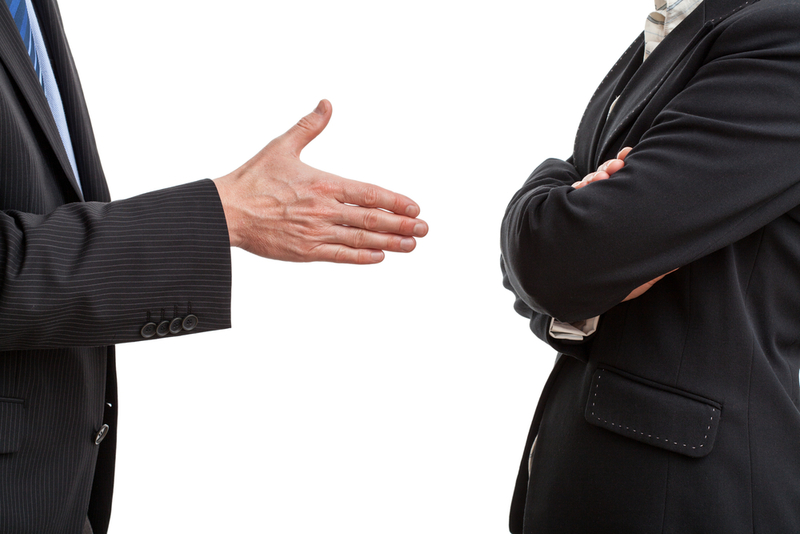 This can be highly distressing if the result of the arbitration does not result in your favor. As such, one should become very familiar with the way arbitration works, prior to formally moving in that direction. Arbitration is traditionally initiated through the sending of a request from one party to another. This can simply be done via email or formal letter. Once general notice of arbitration has been sent, the parties should seek to appoint or have an arbitrator or tribunal appointed. After those formalities have been addressed, a preliminary meeting of the parties, their legal counsel, and the arbitrators will occur. Much like in traditional litigation, the party who has requested the arbitration will then state their claims, which are generally assertions of fact. It is then the responsibility of the opposing party to prepare an answer to those claims. The next steps include a discovery process where evidence is gathered and exchanged between the parties. All of this is done in preparation for a hearing before the arbitrators wherein the parties are given the opportunity to present their case and witnesses. Afterwards, legal counsel for the parties often provide the arbitrators with a summary of their assertions, the law, and the evidence. Lastly, the arbitrators will review and examine all information that they were provided and render a binding decision. As in most legal conflicts, the final decision often leaves the non-prevailing party unhappy. In arbitration, this may be even more so because the arbitrators may make a decision based not only on the law and evidence, but on equity. This essentially means that an arbitrator may decide to give both sides a little bit of what they want, as opposed to giving either side the whole requested. Should that occur, it is possible that neither side will feel like the arbitration has been a success. However, that is one of the risks of arbitration. Overall, many parties still prefer the swiftness and cost-effectiveness of arbitration to that of a possible tedious multi-year lawsuit. Though there are a variety of pros that come with arbitration, those same assets might contrarily be seen as cons to some. While the majority of the time, the costs of arbitration are less than traditional litigation, it is always a possibility that certain complex arbitrations might increase the total costs incurred. This also applies to the potential speed at which an arbitration occurs. In certain instances, it is possible that a complex arbitration could take longer than traditional litigation. Further, while arbitration very frequently focuses on the fairness of the law and evidence, some parties may find that the entire arbitration process is unfair, especially when it comes to parties that frequently participate in arbitration. Though the process allows for a fair appointment of arbitrators, those that are more familiar with the process may appear to have an advantage. While there will be risks whether you opt for traditional litigation or an alternative dispute resolution such as arbitration, the key is to become as acquainted as possible with the steps in the process you would like to pursue. By opting for arbitration, you could save yourself and your dental practice a lot of time and money. Whether you are dealing with a contract issue, a problem with an employee or employment law, a partnership dispute, or a landlord issue, arbitration can help you reach a resolution. Obtaining a dental practice attorney can help you feel more confident in familiarizing yourself with the steps you need to take to resolve your problem through arbitration.